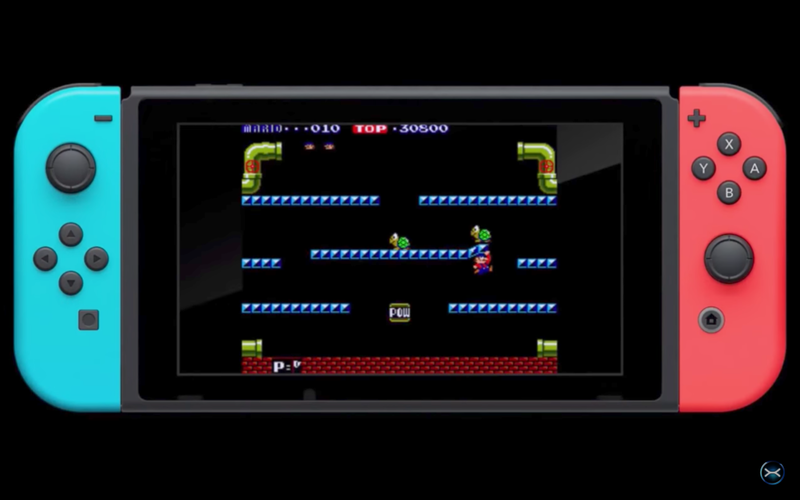 Nintendo dropped pretty big news for classic game fans during yesterday's Nintendo Direct presentation: amid a flurry of various news and release dates, the company revealed the upcoming release of an Arcade Archives series that will present several once-popular Nintendo arcade hits for the company's newest console, the Nintendo Switch. While some of the games included in the selection have already been released for a number of Nintendo consoles prior to now, some of the other included titles haven't been seen since early 80s, and these new releases will mark the first time Nintendo has offered these games on the home console market. Some may be surprised to learn that the Arcade Archives collection isn't a Nintendo collection per se: the series comes from game publisher Hamster, a company that has previously collected arcade games from other publishers for consoles like the PlayStation 4 and Xbox One. Together with Nintendo, Hamster will have the honor of placing some of Nintendo's earliest arcade hits into the hands of Nintendo Switch owners. Which Games Will Be Included Within The Arcade Archives Series? As seen in yesterday's presentation, Nintendo announced several of the games players can expect to appear under the Arcade Archives banner, which will include the classic Mario Bros. title as well as VS. Super Mario Bros., VS. Balloon Fight, VS. Clu Clu Land, VS. Ice Climber, VS. Pinball, and Punch-Out!!. For those who aren't familiar with these titles, the VS. series of games were part of modular arcade cabinets that sometimes featured dual screens which players could often find hiding in the dark corners of bowling alleys and pizza parlors. While some of the games were very similar to the original releases they were based on, others, like VS. Super Mario, present a remixed version of the base game with power-ups and other items moved around and later levels replaced with what places would recognize from Mario Bros.' The Lost Levels release. Nintendo didn't exactly say if they planned to release more than the games they announced in the company's latest Direct presentation, but players can expect to get their hands on the first Arcade Archives release of Mario Bros. later this month when it releases on September 27. Keen on discovering more great Nintendo Switch games? Stay on top of the scene by checking out some of the great titles we've featured on our list of the Best Nintendo Switch Games.